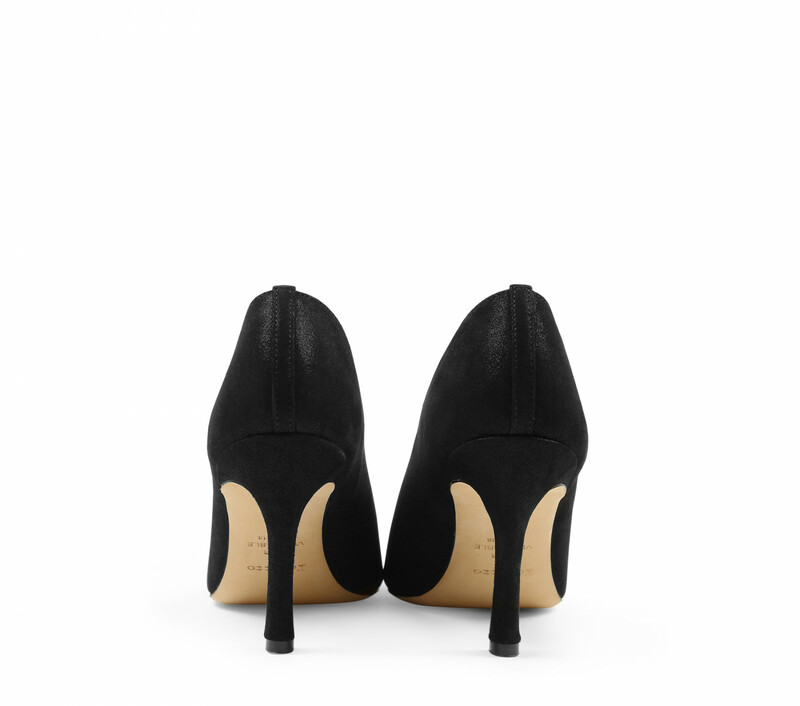 What is special about these classic-looking pumps can be found in the detail. 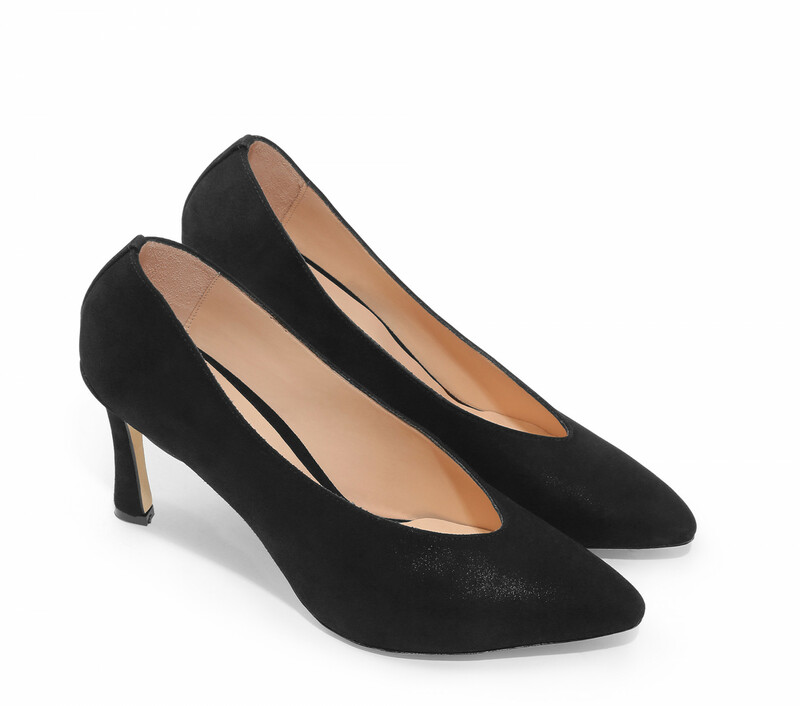 Their curved heel and vamp are delicately flared at the ends, making for seductive shoes. 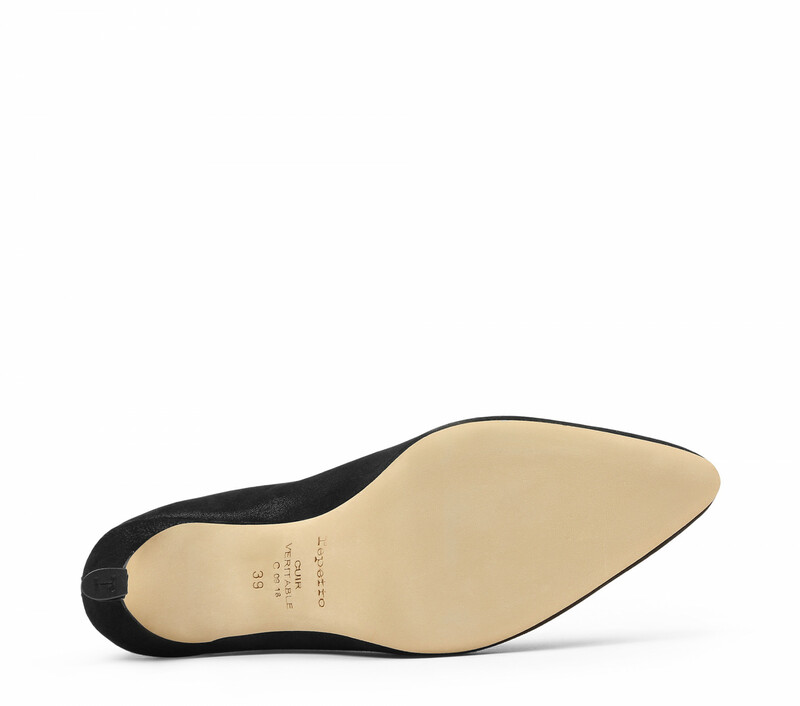 Details: Insole in pink icône calfskin. 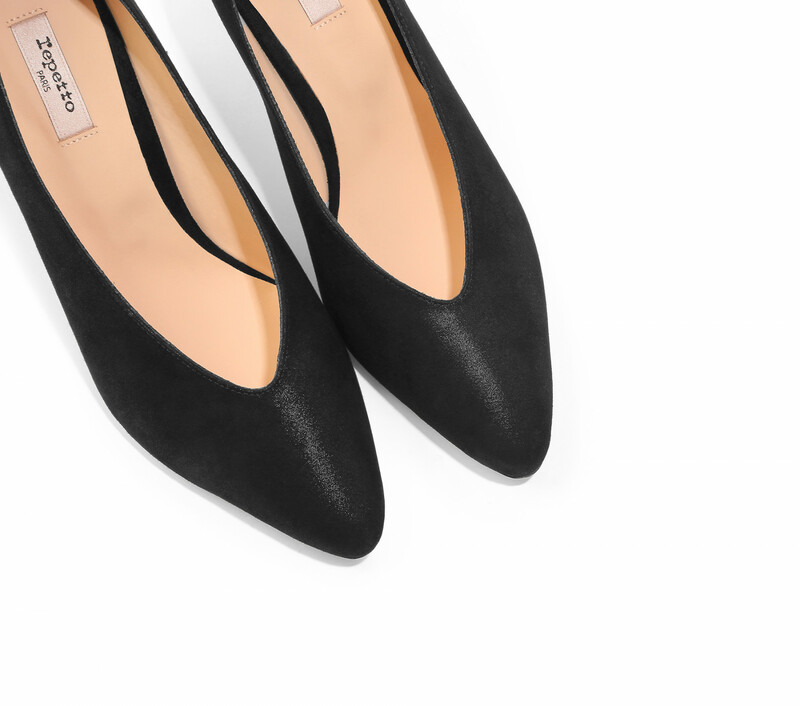 Repetto satin label on pink insole. Lining in pink icône calfskin. 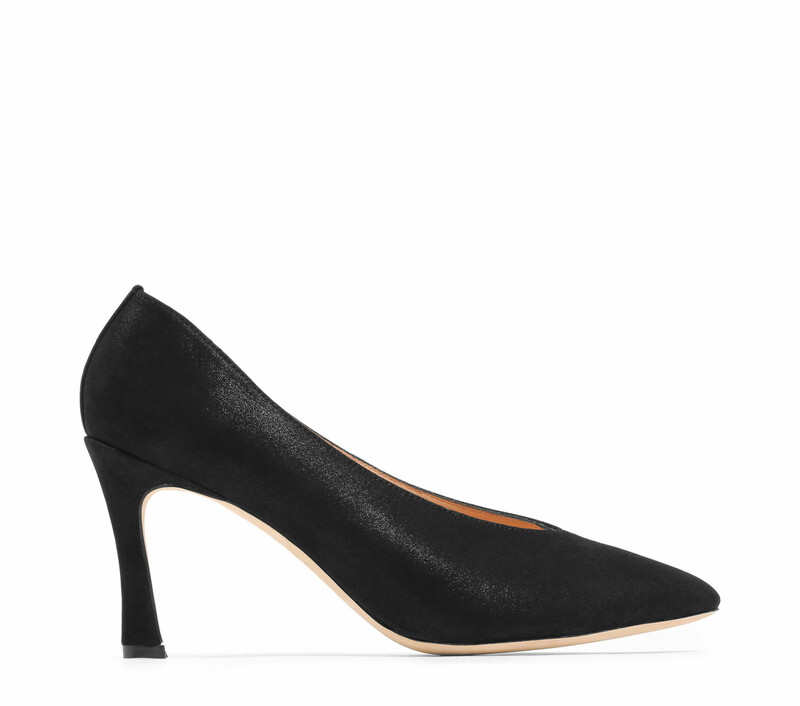 Covered leather heel.